Community Plates, the technology-fueled, direct-transfer food rescue organization dedicated to ending food security just announced that date of their signature fundraiser "Food For All". 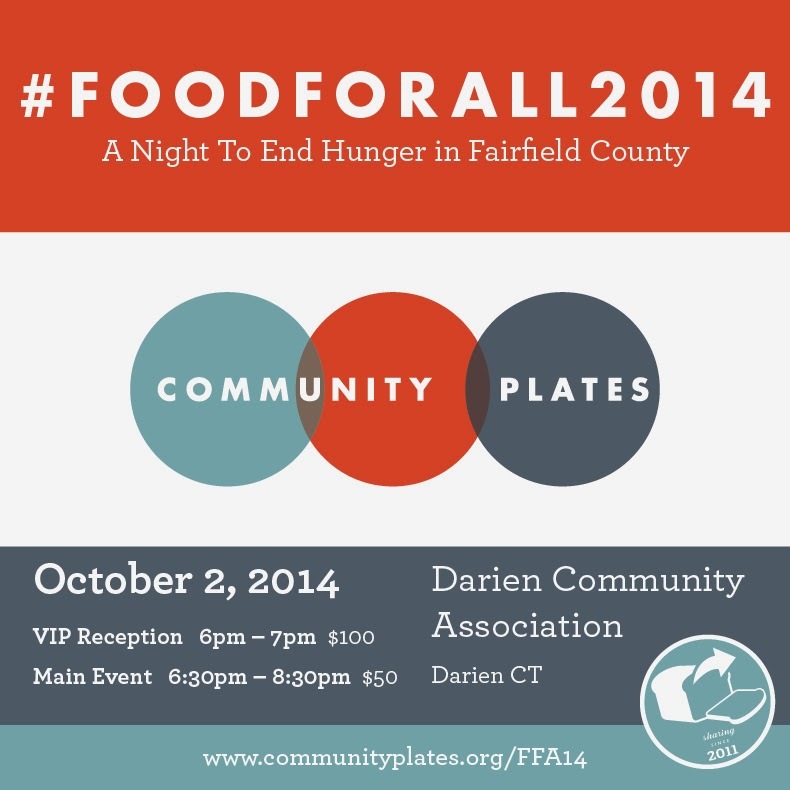 The benefit to support the fight to end hunger is Thursday, Oct. 2nd at the Darien Community Association. At the event while enjoying amazing food and drink from the area's newest restaurants, you'll learn about the organization's goals for the coming year and celebrates its many accomplishments. Food For All features the area's newest restaurants showcasing their signature dishes. This year an added highlight is a series of Craft Cocktail Bars presented by Fairfield County's most innovative bartenders. During the event you'll also have the opportunity to learn more about Community Plates and their newly developed GoRescue application, the organization’s award-winning web and smartphone enabled interactive food rescue scheduling tool which connects food-service organizations that gather and donate food that would otherwise be wasted; to food runners, who give of their time to pick-up and deliver food donations; to the receiving agencies that ensure donated food gets to those in need throughout the community.